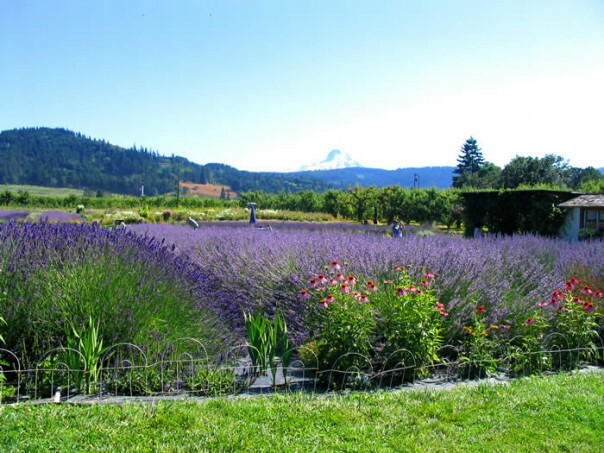 Hood River Lavender Farms is a certified-organic u-pick lavender farm situated on the top of Straight Hill surrounded by orchards, 1 mile off Hwy 35, offering amazing views of Mt. Hood, Mt. Adams and the Hood River Valley below. It has a large wildflower garden (Oregon native wildflowers) in the center of the farm. Due to the climate and location, over 70 varieties of lavender are present, including two unique lavenders grown only here, with a cute Lavender Shoppe on the farm where many luxury lavender items (including lavender oil distilled on site) are created and sold. 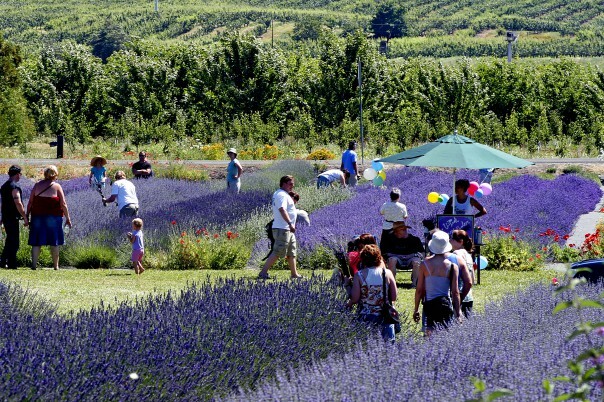 The farm is home to the annual Lavender DAZE Festival in July, featuring live music, local wines, 20+ local artisan booths, craft classes, kid activities and more. Picnic lunches are encouraged. Truly a unique and beautiful experience. 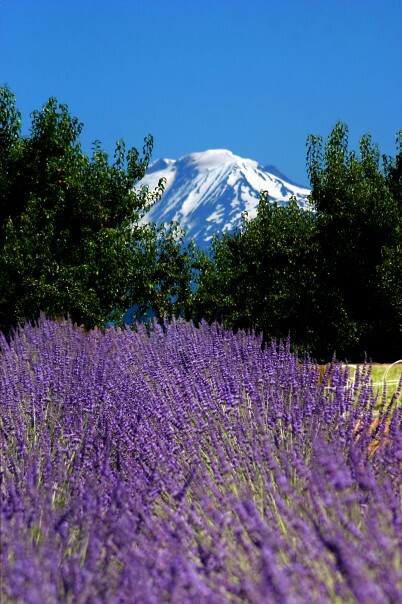 Hood River Lavender farms is solely owned and operated by two Hood River natives that have three generations of agricultural history in Hood River. 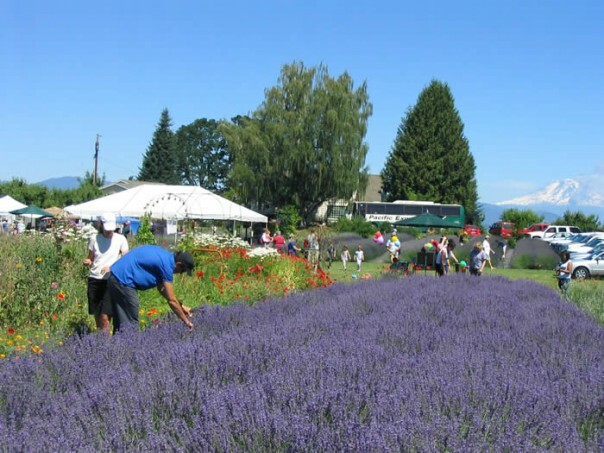 Grown organically, using unique cultivation practices, their lavender and native wildflowers offers visitors the opportunity to pick many colors and aromas of lavender in a visually rich environment. Self-guided or escorted tours are available so visitors can view the entire operation of the business from propagation to distillation to producing healing luxury lavender items. 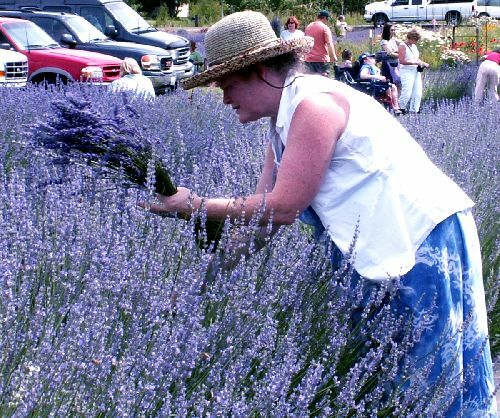 The entire business is located onsite, and additional classes are available to provide hands-on learning of unique ways to use the lavender visitors pick. The farm is available for private parties, weddings and informational tours.